There’s no slowing down the city’s supertall boom. 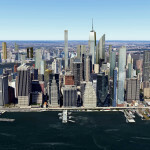 Crain’s reports yet another 1,000-foot plus tall tower could soon be joining the New York City skyline, rising at the combined sites of 80 South Street and 163 Front Street. Chinese investment company China Oceanwide Holdings released a statement saying they would be purchasing the development parcels for $390 million through a U.S. subsidiary from current owner Howard Hughes Corporation. 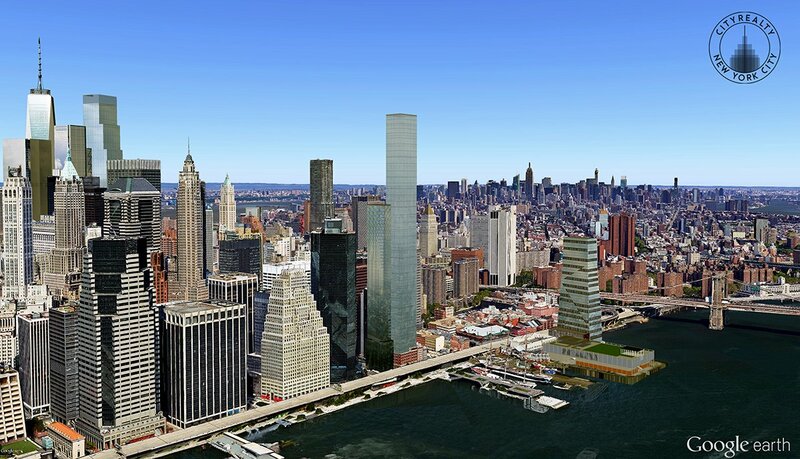 The new tower will sit just south of the South Street Seaport, and amid a grouping of other tall, but not quite as tall, towers. 80 South Street has been eyed for redevelopment for over a decade. 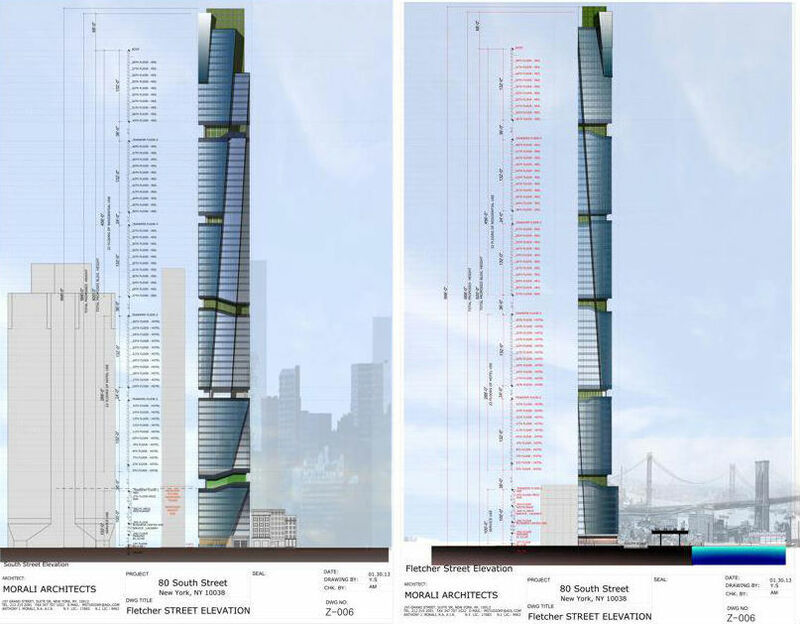 Back in 2013, Morali Architects released the above rendering showing a 1,081-foot building to rise on site—the design would have included sky-high bisecting gardens, a green roof, a driverless parking system, and elevated connections with nearby buildings. Previous plans also included building a tower of townhouses designed by starchitect Santiago Calatrava, but that was scrapped back in 2008.